A group of theater professionals and members of the American Theatre Critics Association (ATCA, americantheatrecritics.org) were discussing the importance of keeping the Bard and his work vital for years – specifically, 400 years. Although William Shakespeare would be more than 400 years old if he were alive, one of the greatest writers the world has seen is still provoking discussion and resonating with audiences. No news flash there. Nevertheless, it was refreshing to learn that Bay Area theater companies are committed to performing Shakespeare’s work. One theater company that apparently believes in connecting the poet/playwright with the very young is the San Francisco-based African-American Shakespeare Company. Its artistic director, L. Peter Callender, who was part of the “400 Years” panel at the 2017 ATCA conference held recently, said he worked extensively with third grader Cameron Payne, line-by-line, for the youngster’s role in the company’s production of The Winter’s Tale. Callender’s company mounted a non-traditional, modern production of this late Shakespeare work recently, told from the perspective of the young prince Mamillius. In the mostly strong production, the play about a king gone mad with jealousy over his wife’s supposed infidelity, begins with music appropriate for a fairy tale or nursery rhyme. “In my adaptation of this brilliant story, we are introduced to a little prince seeing his family torn apart by the suddenly tyrannical behavior of the father,” Callender wrote in the program. Sometimes, adults misjudge the capabilities of children, Callender also wrote. Two actors alternate in playing the young prince: Atlantis Clay, a first-year drama student and Cameron, who a group of us attending the play on a weeknight witnessed in the role. The work Callender put into teaching the youngster how to speak and act Shakespeare clearly paid off. The youngster not only recited Shakespeare’s English without missing a beat, but appeared to clearly understand what he was saying, investing Mamillius with a swagger. The young boy’s stage presence matched that of many adults in the production. Callender deserves kudos for casting an actual youngster in the role. Directors frequently, if not most of the time, alter the setting of Shakespeare’s plays. Clearly, then, a director could ask an adult actor to play the role of a young child by putting his acting (and Shakespearean) skills to work. This much is clear: the playwright Ken Ludwig, a Bard aficionado who has written a book titled “How to Teach Your Children Shakespeare,” would be proud of Cameron’s work in the role and laud Callender for casting Cameron as the prince. He’d be proud of the cast as a whole, particularly Eric Reid as an-times understated but clearly menacing King Leontes, who’s prone to violent outbursts and Brittany Nicole Sams, who unleashes torrents of natural-sounding strong emotion as Paulina. Callender’s passion for Shakespeare extends to his own life. He noted that someone once said that black actors shouldn’t perform Shakespeare. Callender, who studied at the renown Julliard School on the Upper West Side of Manhattan, said he and his fellow students “all hated” that person. For more information about the company, call (415) 762-2071 or visit www.African-AmericanShakes.org. While some of us opted to witness the The Winter’s Tale as part of a menu of theatrical offerings, most, if not all ATCA members, took in a performance of the Bard’s comedy As You Like It. California Shakespeare Company, aka Cal Shakes, in Orinda, offered a 1960s-style production. The panel discussion about the next 400 years of Shakespeare preceded the production, performed outdoors in the Bruns Amphitheater. What better setting to witness a Shakespeare comedy than under the stars, amid greenery and mountains in the distance on a pleasant night? What better setting for the Forest of Arden than such a natural setting? Ah, but in this production, the exiled characters of As You Like It didn’t escape to a forest, but an urban jungle, complete with garbage cans and other unsightly scenery. The set, which resembled an area of a big city where beggars idle and you don’t want to find yourself at night, stood in stark contrast to the serene setting of foliage. But during this time of mass migration from various European countries, director Desdemona Chiang’s approach seems appropriate. The characters are “survivors who breed connection from banishment, love from tragedy and ultimately create community and home in this unlikely and surprising place,” Chiang wrote in the program. There is a hippie, free-spirit aura to this production, in which the resourceful characters make do with the situation in which they find themselves. Some have beefs to settle with others, but there’s also a spirit of giving, manifested particularly by the assistance provided to the old family servant Adam (a pathetic and desperate, but thankful and loyal Warren David Keith). Period music, such as Bob Dylan’s “The Times They Are a Changin’” help to set the mood. Another nice touch in the production is the playing of “Till There Was You,” from The Music Man. The song helps the characters convey that they’ve been awakened to the world’s beauty by those with whom they’re in love. The song carries a light, bright, gentle melody that fits in nicely with a Shakespearean comedy. The feeling of summer was clearly in the air as the melody drifted throughout the amphitheater. Cal Shakes, founded in 1974 and which welcomes more than 43,000 people annually to the East Bay hills, is hardly through with its season. You can find more information about upcoming productions and programs by calling (510) 548-9666 or visiting www.calshakes.org. During our several-day conference, we learned that the theatrical offerings in the Bay Area are numerous and diverse. Gracing its stages were everything from the mega-popular musical phenomenon Hamilton to Kurt Vonnegut’s chronologically confusing, head scratching but meaty Mother Night (the adaptation shown was penned by Custom Made Theatre Company Artistic Director Brian Katz) to a stage adaptation of the classic 1967 film The Graduate (staged by Palo Alto Players, www.paplayers.org). Custom Made Theatre Company’s website is located at www.custommade.org. Another play conference attendees saw is Jen Silverman’s unpredictable The Roommate, in which morsels of information are slowly revealed, Annie Baker-style. It’s an engrossing play with gasp- inducing revelations brought to the fore. The conclusion is surprising, to say the least. The Roommate is running through July 1 at the San Francisco Playhouse (www.sfplayhouse.org). The Bay Area’s theater companies embrace the classics as well as new work. Palo Alto-based TheatreWorks Silicon Valley, for instance, has held a new works festival for 16 years. The 16th Annual New Works Festival is slated for Aug. 11-20 in the Lucie Stern Theatre, 1305 Middlefield Road, Palo Alto. The company will also present the world premiere of The Four Immigrants: An American Musical Manga. Its basis is one of the first ever graphic novels “set to an infectious ragtime and vaudeville score” by local composer/lyricist Min Kahng, according to press material. The comic musical follows four Japanese immigrants “in a world of possibility and prejudice: turn-of-the-twentieth-century San Francisco. “From a tumultuous earthquake to an exhilarating World’s Fair, the quartet pursues the American Dream, despite limited options in the land of opportunity,” according to a brief summary. The musical will run from July 12-Aug. 6 at the Lucie Stern Theatre. For tickets ($40-$100) and more information, visit www.theatreworks.org or call (650) 463-1960. A special guest might be among you at one of the performances – the granddaughter of the man who wrote the graphic novel, Henry Yoshitaka Kiyama, plans to see the show. Critics attending the ATCA conference got a sneak peek at some of the songs in the show. The vibrant, optimistic musical numbers were performed with infectious gusto by cast members. During one of the songs, at least one character misses being home. A sense of nostalgia and wistfulness filled the performer’s voice during this introspective song. All in all, it was clear the performers weren’t just singing, but inhabiting their characters through song. Cast members and resident music director William Liberatore, who energetically accompanied on the keyboard without missing a beat, were given a round of applause by the appreciative critics. TheatreWorks Silicon Valley not only performs inside its facilities, but its talented performers take to the road to use live theater as a way to encourage change for the better. For instance, the company recently performed an anti-bullying play, Oskar and the Big Bully Battle, to an area elementary school. The show “not only kept the 5- to 11-year-old students entertained but taught them how to deal with bullies,” journalist Carol Rosen wrote in the “Willow Glen Resident,” part of Silicon Valley’s Community Newspapers. While the theater company is embracing new works and reaching out to youngsters, it’s also looking to the future. TheatreWorks, which started in 1970 with a production of Popcorn, has announced that its founder and artistic director, Robert Kelley, will retire in 2020. That year will mark the theater’s 50th anniversary. TheatreWorks, which workshopped and world-premiered “Memphis,” before its opening on Broadway, is one of California’s largest theaters, with 40 permanent staff members and an $8.5 million budget. 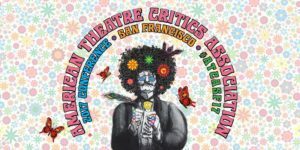 While critics attending ATCA’s 2017 conference mostly saw shows and discussed theater-related topics, some took advantage of the Bay Area’s many cultural offerings. From the Golden Gate Bridge to Alcatraz to Fisherman’s Wharf and Chinatown, finding something that interests you is as simple as climbing “The City by the Bay’s” many steep hills for some folks is hard. A good place to start searching for sights to see and savor is the San Francisco Convention & Visitors Bureau, located at www.sftravel.com. Hi Erin, thanks for reaching out to me and reading my blog. I’d be glad to talk to you about it. Feel free to e-mail me at aarkrau@aol.com! Thanks again. you might be a great author. I will make sure to bookmark your blog and definitely will come back someday.